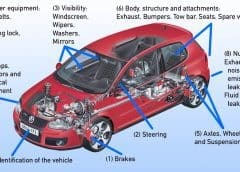 If the Car Owner’s Guide to the MOT or the questions and answers on these pages don’t cover your problem, try posing your question on the MOT Forum. Below is a selection of Frequently Asked Questions, more will be added from time to time. Please note that regulations may change from time to time, and the general advice given here may have been superseded. Whilst we make every attempt to ensure that information provided is correct, for a definitive answer, visitors should refer to the MOT Tester’s Manual. Your MOT is valid until its expiry date even if in the meantime your car fails the MOT – the original pass is still valid. In fact you can have the Test done up to a calendar month before the expiry date and have the new MOT forward-dated to the expiry date of the existing certificate. So if you have your car Tested during that month and it fails, this gives you time to have the repairs carried out and the car re-tested before the expiry of the original certificate and you are not disadvantaged as a result. – MOTT. Firstly, there is no official ‘period of grace’ on an MOT – unless you have some time left on your original MOT certificate. That is why the regulations allow you to have an MOT before the old one has expired (up to a calendar month), and the new one can be forward-dated to the old expiry day/month. 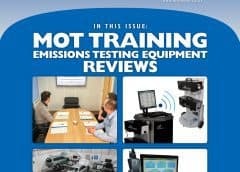 I understand that I cannot become a Tester unless nominated by an MOT centre, but is it possible to set up an MOT garage without being a Tester, or having a Tester employed at that time? or, do I have to have a Tester employed at the time of application, if not, can I set up the MOT centre then nominate myself as the Tester? 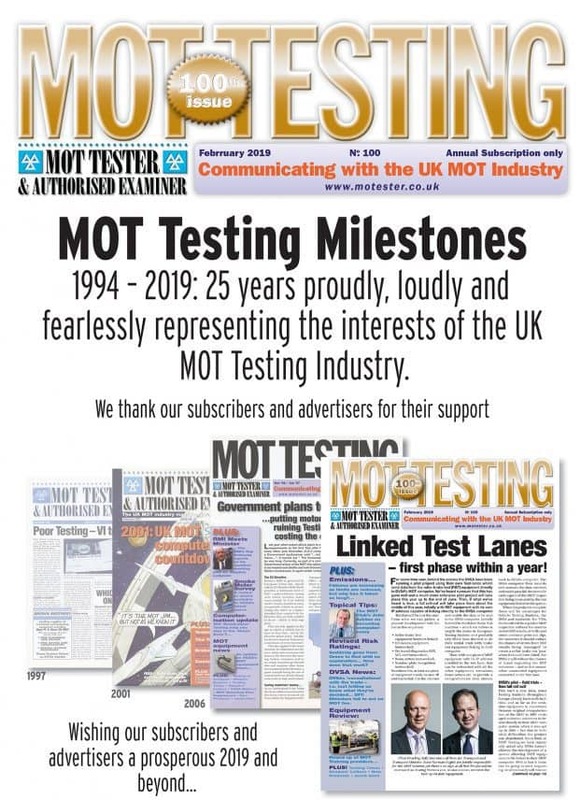 Yes, despite the shortage of MOT Testers experienced throughout the country (denied by the Government), the regulations set by the Department for Transport mean that it is impossible for anybody to become an MOT Tester without first being employed by a Testing Station. 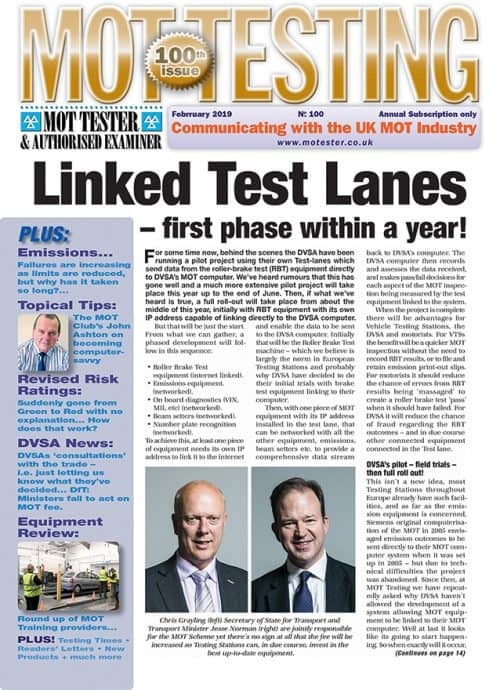 Then the candidate must persuade the MOT Testing Station to put him or her up as a candidate. Then the candidate must have both appropriate experience and qualifications to be accepted by the Testing Authorities (VOSA). 1. If I bring the car in running on LPG, do the emission tests have to be carried out with it running on LPG? 2. If this is the case, can I remove the cat without this causing it to fail the MOT, either because the cat has been removed or because the emissions are too high? Thank you for your interesting question. The MOT emissions Test varies depending on whether the vehicle uses petrol or LPG. However the pass fail criteria is set by the authorities for your make of car for these two situations. I have recently purchased a set of alloy wheels from [a retailer] for my Ford Focus ST170 [who in turn fitted them to my car]. They appeared to be look a wider fitment than the original standard wheel even though they were the same size, 215/45/17, and were visibly protruding beyond the wheel arch on the front by approximately 5-6mm. They have also been catching the wheel arches on the front when going over speed ramps or bigger bumps in the road. As I understand the situation the only way the MOT is affected is if your new wheels actually foul the bodywork or any other part of the vehicle when the wheels are turned lock to lock when the vehicle is sitting in its normal position. If at an MOT conducted one month before the due date the tyres are found to be below the Test standard is it legal to drive that vehicle from the MOT Test station to the nearest tyre dealer? If it is a motoring offence to drive a car with tyres below MOT standard to the nearest tyre dealer, is it permissible for the MOT garage to bar said tyre dealer from replacing defective tyres on the MOT centre premises? In the above circumstances I would have driven the vehicle, with caution to the tyre dealer, however I would be interested to know how the above situation is normally resolved. I feel the car owner is being bullied into accepting higher priced tyres by the MOT garage than would be available down the road. Ted Hutchinson. Your description of the situation is accurate. 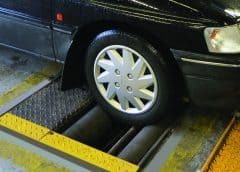 The reason an MOT Testing station is likely to bar the ‘mobile’ tyre fitter is probably due to the strict Health and Safety rules which apply. 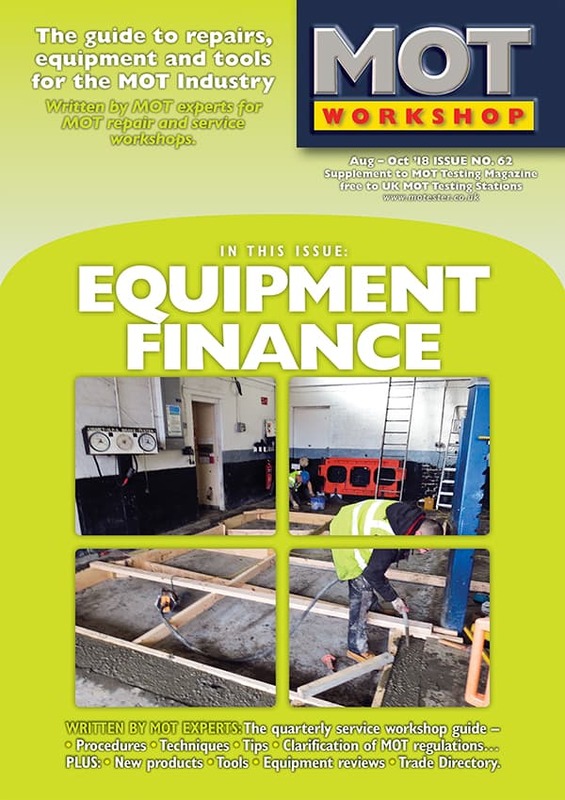 To make sure the MOT garage doesn’t break the Health and Safety rules, he must make sure ANY contractor entering his premises to do work (that’s anybody, locksmiths, glaziers, electrical contractors etc) must provide proof of a safe ‘method of working’, and a ‘risk assessment’ of the work to be done. Incidentally this applies to all companies, not just MOT Testing stations. My MOT is due in feb and there are a few things I’m unsure of. I have some 4 point race harnesses bolted in the car. They are ‘e’ marked and all the british standards are met but will they fail my mot? The words ‘heavy steering’ should not be used on an MOT failure. The terms which could apply depending on what the Tester discovers are “excessive tightness or roughness in the steering mechanism”. Ultimately this is a matter for the MOT Tester to decide. This is checked during the Test by placing the front road wheels on low friction turning plates and turning the steering wheel from lock to lock. I put my car (D reg Citroen Visa Diesel) in for MOT Test at a garage on Friday (09/01/04) morning. Although they said they would ring me with news I had to ring them at 4pm. They said it had failed (one front wheel bearing and missing rear suspension bump stop). I would like to repair these items myself so I asked how long I would have without incurring the retest fee. They stated it is only 24 hours but as they were shut Saturday morning I would not be able to take it back Monday morning as I would have exceeded 24 hours. Q1 Are they correct in interpreting the regulations this way. It seems totally unfair to me as I do not get any time at all to repair the car. Q2 The car is still with the Garage (it has been there since it was Tested) as naturally I am having trouble finding the bump stop for such an old car. When I get the parts can I now request my 24 hours from when I pick the car up as it hasn’t left their premises? The garage that my mother has always taken her beloved Fiat Uno (now 20 years old) to has failed it yet again (about the 8th time in exactly the same places) for welding requirements. Although the car has only done 40 miles this year, the garage in question found three holes, one in each sill (about 4cm x 1cm each, halfway along each of the front doors) and a more severe hole (6cm x 4cm) under the pedals. We repaired the sills using a chemical weld compound and strips of galvanised steel, but resorted to bolting large sheets of steel under the pedals … effectively completely replacing the floor pan at that point. 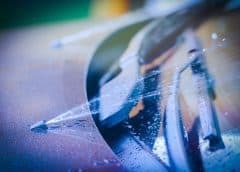 It is an absolute requirement that any repairs required as a result of corrosion following a failed MOT must, with but a few exceptions be seam welded. The actual requirements regarding whether or not excessive structural corrosion comprises a failure are quite complex, very specific and laid down by the authorities in the “Tester’s Manual” – effectively the ‘bible’ of how MOT Tests MUST be conducted by the Testing garage. I have just collected my car from the local test centre. On collection the pass/fail sheet was not filled in. I was told my car had failed because the brake pads were worn below 1.5mm. Not that the car had failed the braking requirements. On the invoice it stated this was advisory. I said I would fit pads so it would pass a re test. The pass/fail sheet was then filled in front of me. Does this seem correct? My Fiesta had an MOT last week and I have since noticed, that on the front two wheels, the central domed metal cups which covers bearings (?) are missing. This may be a coincidence, but would they have been removed to during the MOT as part of the checks and more importantly, should I get them replaced? Is it legal to Test your own car if you are a qualified MOT Tester? – A Reid. 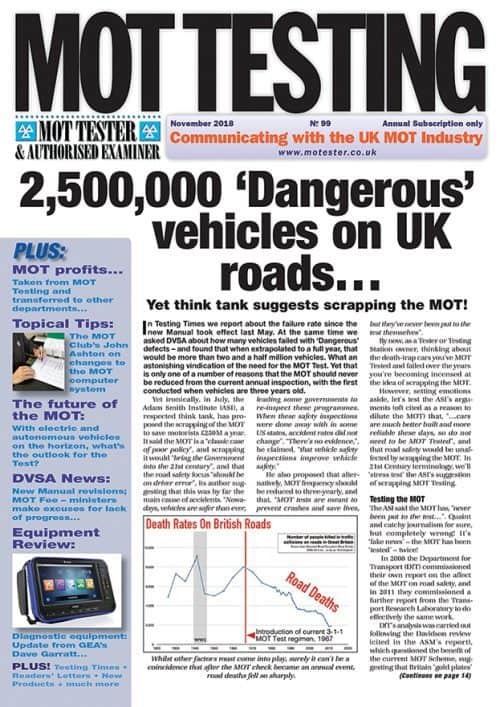 To decide whether or not a vehicle should have a catalytic test the MOT garage will have an official booklet which clearly states not only which vehicles should be so tested but also what the limits should be for that specific vehicle. Certainly most ‘K’ registered vehicles would need a cat test. I suggest you go to the garage and ask them to again check in their emissions booklet with respect to your vehicle. As catalytic converters are not cheap it is not unknown for people to replace the cat with a ‘normal’ exhaust box. On the other hand that your car is not fuel injected would imply that it never did have a cat in the first place. Could somebody have changed the engine during the vehicle’s history? I have recently been given 3 points on my licence and a fine for having my front windows tinted with a light smoke. I have been informed by the garage that there is nothing wrong with doing this but the police are still taking me to court and have told me that if I can get written confirmation that my car would pass an mot test with the light smoke then their test may be wrong. Can you please tell me if there is anything regarding this matter in the current mot test in place at the moment. There is nothing in the MOT regarding a ‘smoked’ or tinted screen. 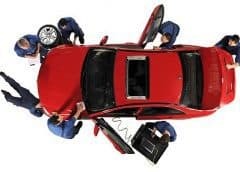 I am aware that a car that does not have a current MOT Certificate is not allowed to be used on the road except when going for repairs for a test, or to a prearranged test. 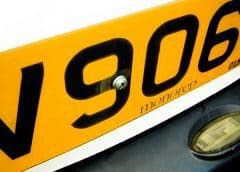 Is there a milage limit as to how far a car can be driven without an MOT if it is going to a test centre – ie can one drive 40miles in the car if it to be to an MOT appointment with a garage? Very sorry but it isn’t really possible to help you in this. Apart from the need to actually inspect the vehicle, this is really a legal matter between yourself and the garage and it would not be appropriate for us to comment. My car is fitted with an ABS system. The warning light has come on and the ABS doesn’t work although the brakes work fine. Will this be acceptable for passing the MOT or must the ABS be working if fitted? Many thanks. I am sorry to say that the regulations here are very clear. If there is a problem signalled by the ABS light, then that is an MOT failure. The Testing station would have no discretion at all. There is no necessity to have a catalytic converter on any vehicle. However, your vehicle will be MOT Tested as if it had one and it is unlikely that it will pass the emissions part of the MOT without the cat. 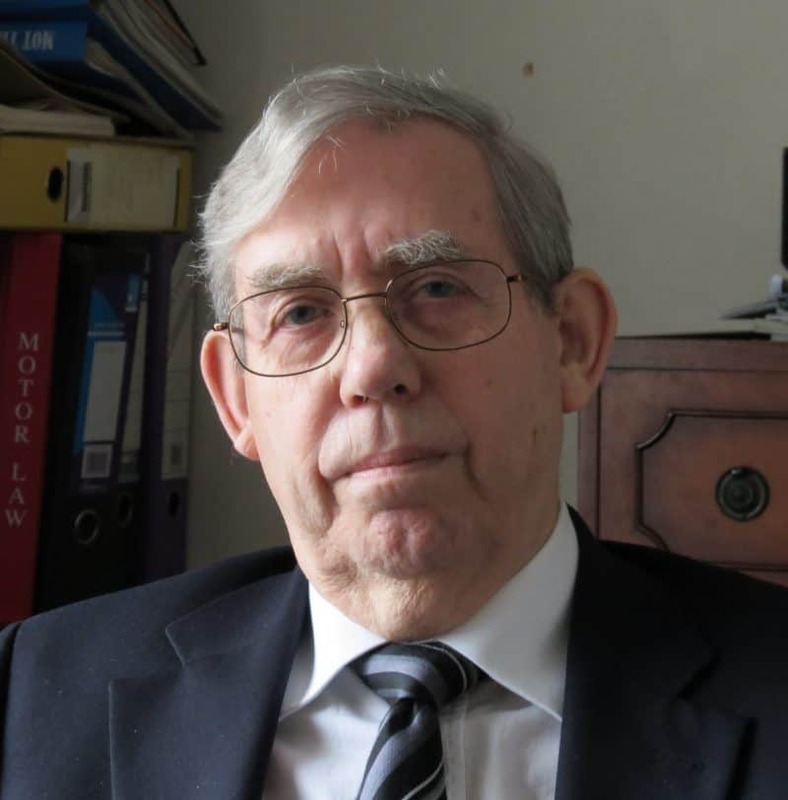 The reason being that the engine and the catalytic converter were all part of the same integral design to meet the emission requirements when the vehicle was manufactured – MOTT. 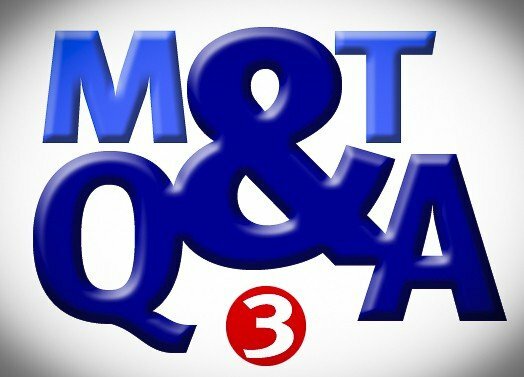 Are MOT Fees subject to VAT and if so, at what rate? Short answer: The MOT is zero rated for VAT purposes – MOTT. There is no VAT on MOTs but its liability is not Zero Rated (which is an actual rate of VAT). 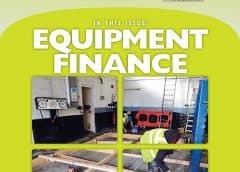 MOT’s are “outside the scope of UK VAT” so VAT cannot be charged on them. 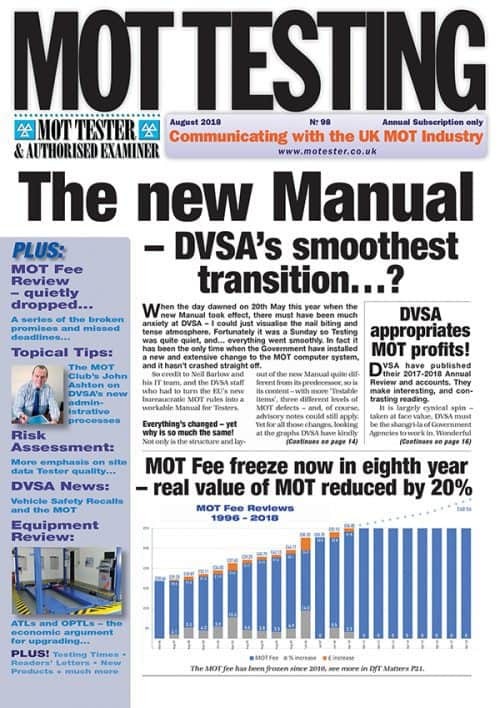 The biggest misunderstanding with VAT on MOTs is the liability of the commission a non-Testing Station charges (their customers) for the MOT cost. 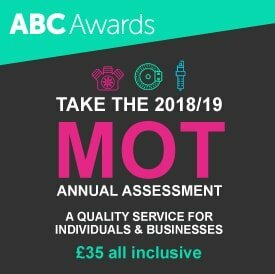 If the non-qualified Testing Station buys an MOT from a qualified Testing station for £25 each (say) and sells them on for £35 each (to the public) then they must charge VAT at the standard rate (17.5%) on the whole £35 unless the £25 cost price is detailed separately on the invoice. If they detail the cost of the MOT with a separate line for the commission then this is OK and VAT must only be charged on the commission. Further details can be found in HMRC Public Notice 700: The VAT guide. All of the above can be verified by accessing the HMRC website: www.hmrc.gov.uk or by contacting the National Advice Service 0845 010 9000. No, it is a matter for the Tester to decide whether or not the vehicle is producing excessive noise – MOTT. I am a qualified motor vehicle technician but would like to add MOT Testing to it. I don’t presently work at a Testing Station, is it still possible for me to get a Tester’s certificate if a Testing Station lets me use their garage? I took my car to a MOT centre. They did the Test and said the repairs would cost at least £250, they also said there was a problem with the brakes but could not give me a quotation for this precise matter ( which I find strange!) Can I take my car with the results of the Test to a garage for another estimate and repairs? If yes, am I going to be charged again by the MOT centre to obtain the certificate once the work is done. Please help! It is quite common to be unable to make an accurate estimate of the cost of repairing brakes which have failed the MOT. The reason for this is that the MOT does not allow any dismantling of components. However the brake performance is tested. If it fails there could be any number of reasons for this which your garage will not know about until the braking system is dismantled – however they can have a guess at the reason and base their quote on that. Also, there’s nothing to stop you going to another garage for the repairs, or even to go to another MOT Testing station to get the repairs and re-test done.